As expected, General Motors (NYSE: GM) swung to a GAAP loss of about $3 billion in the third quarter, and its revenue fell sharply from a year ago, on a year-over-year drop in production and $5.4 billion in one-time charges related to the sale of its German subsidiary Adam Opel AG to French automaker Peugeot SA . Beyond those issues, GM’s underlying performance was fairly strong. All of its regional business units were profitable, and it outperformed Wall Street’s expectations. When adjusted to exclude the effects of one-time items and Opel’s results, GM earned $1.32 per share in the third quarter, well ahead of the consensus $1.13 Wall Street estimate as reported by Thomson Reuters . Revenue of $33.6 billion also beat Wall Street’s $32.67 billion estimate. Strong sales of GM’s new crossover SUVs helped offset the effects of production cuts and the costs related to the sale of Opel. Image source: General Motors. 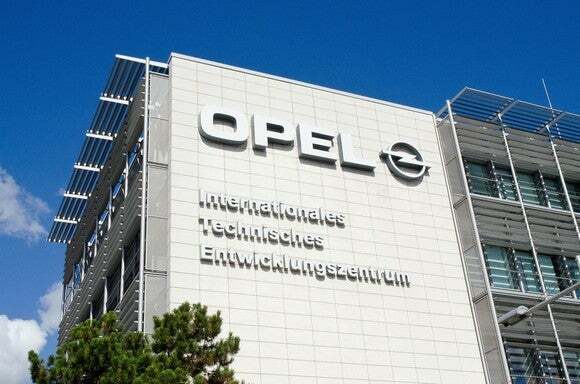 GM’s third-quarter results are complicated by the sale of Opel, which closed on August 1. The sale’s closing triggered a series of one-time charges totaling $5.4 billion. To help investors make sense of the situation around the Opel sale, GM is reporting its financial results two different ways for the time being: on a “continuing operations” basis, which excludes Opel, and a “consolidated” basis, which doesn’t. Analysts and most investors will focus closely on the continuing-operations numbers, which show how GM-minus-Opel is performing. On that basis, GM was profitable in the third quarter, though just barely: Its net income was $115 million, down almost 96% from a year ago. The numbers that analysts, investors, and GM’s management watch most closely are what GM calls “EBIT-adjusted,” which is essentially operating income minus one-time items, and its EBIT-adjusted margin, which is EBIT-adjusted as a percentage of revenue. On a continuing-operations basis, GM’s third-quarter EBIT-adjusted was $2.5 billion, down 31% from a year ago. Its EBIT-adjusted margin was 7.5%, down from 9.4% a year ago. Here’s a look at how each of GM’s four principal business units performed. All profit numbers in this section are presented on an EBIT-adjusted, continuing-operations basis. GM North America earned $2.1 billion, down from $3.6 billion a year ago. GM cut production at several of its North American factories in order to reduce swelling inventories; although its U.S. sales were actually up slightly in the quarter, its shipments were down 26%, significantly reducing revenue and profit. But it offset that impact to some extent with cost cuts and strong sales of its all-new line of crossover SUVs. 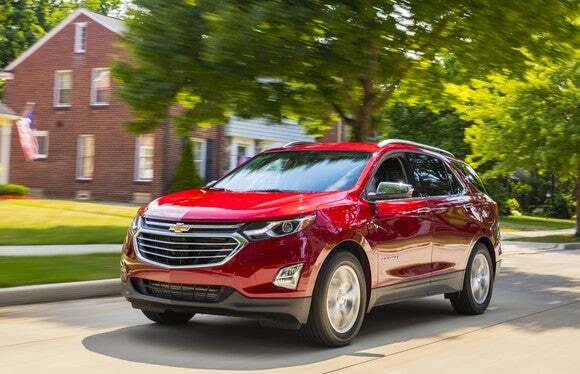 GM’s EBIT-adjusted margin in North America, a widely watched number, was 8.3%. That’s down sharply from 11.2% a year ago, but a good result under the circumstances. GM South America earned $52 million, up from a loss of $118 million a year ago. It’s the unit’s first profitable quarter since the fourth quarter of 2014, and it was driven by improvements in Brazil, where the economy is in the early stages of recovery after a steep recession. GM’s catch-all International Operations unit earned $337 million, up from $220 million a year ago. Equity income from GM’s joint ventures in China totaled $459 million, unchanged from a year ago. GM’s captive-financing arm, GM Financial, earned $310 million in the third quarter, up from $193 million a year ago. Earning assets were up 31% to $83.6 billion, while charge-offs as a percentage of receivables fell to 1.9% from 2.5% a year ago. As noted above, GM took a total of $5.4 billion in one-time charges related to the Opel sale. The total charges were a bit lower than the company’s forecast of $5.5 billion to $6 billion. The sale of German automaker Opel to Peugeot had a big impact on GM’s third-quarter results. Image source: General Motors. The charges include a $4.3 billion charge for deferred tax assets that GM can no longer realize. Essentially, GM has tax credits related to its heavy losses years ago that it hasn’t taken. Because of the sale of Opel, it now can’t ever take the portion of those tax credits related to Opel’s losses at the time. But the thing to remember is that this is an accounting charge; it didn’t burn any of GM’s cash. The remainder of the special item is related to pensions, and some of it did involve cash: It includes premiums that GM agreed to pay to Peugeot in exchange for Peugeot’s agreement to assume some of Opel’s pension liabilities . On a continuing-operations basis, GM’s “adjusted automotive free cash flow” (free cash flow related to its core auto-making business, minus special items) was negative $1 billion, down by $5.1 billion year-over-year, on lower net income, the timing of certain expenditures, and production lost from a strike at a GM factory in Canada . Through the first 3 quarters of 2017, GM’s adjusted automotive free cash flow is just $1 billion on a continuing-operations basis, down from $5.7 billion in the same period in 2016. Having now absorbed the financial hit of the Opel sale, GM expects its cash flow to normalize in the fourth quarter, and to report about $6 billion in positive adjusted automotive free cash flow from continuing operations for the full year. As of Sept. 30, 2017, GM had $17.3 billion in cash on hand, down from $21.6 billion at the end of 2016 but close to its post-Opel cash target of $18 billion. It also had an additional $14.1 billion in available credit lines, for total liquidity available to its automotive business of $31.4 billion. Against that, GM had $13.6 billion in well-structured long-term debt as of Sept. 30, up a bit from $10.6 billion at the end of 2016 after a bond issue earlier this year. GM’s effective tax rate in the third quarter was 20.1%, down from 24.6% a year ago. GM’s overall guidance is unchanged: It still expects its full-year 2017 financial results, on a continuing-operations basis, to be “generally in-line with the record results delivered in 2016.” Specifically, GM now expects that its adjusted earnings per share for the full year will be roughly in the middle of its previously forecast range of $6 to $6.50. GM earned $6.12 on that basis in 2016. GM also noted that it expects to return about $7 billion to shareholders in 2017, via dividends and its ongoing share-repurchase program. David and Tom just revealed what they believe are the 10 best stocks for investors to buy right now… and General Motors wasn’t one of them! That’s right — they think these 10 stocks are even better buys. John Rosevear owns shares of General Motors. The Motley Fool has no position in any of the stocks mentioned. The Motley Fool has a disclosure policy . How Safe Is General Motors' Dividend?